Last year at Coachella while resting my piggies and sipping on a cold one I met a young blond girl from Kentucky. We chatted about artists we’d seen so far, beer, and of course The Owl Mag. As I gave her my business card she asked me which new band was on my radar. Yuck was my answer. True story. 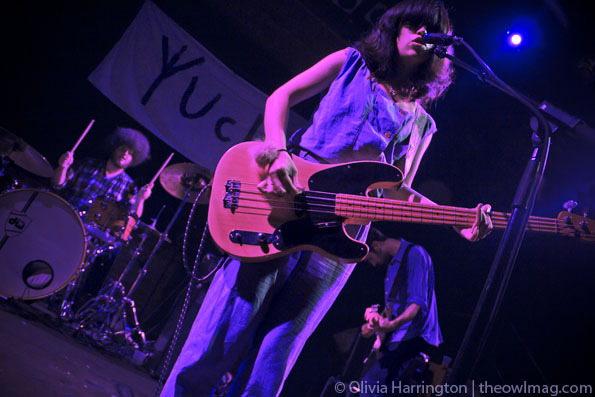 One year later the London band with the Sonic Youth sound, which has toured the globe in support of their self-titled album, will be making their Coachella debut. Hey Kentucky girl, if you’re reading, I’ll see you in the desert in 21 days! Happy Coachella!